What could be more fun than cruising the streets of Houston in a stretch Hummer limo with your closest friends on a Houston Saturday night? Imagine feeling the warm summer evening air blowing on you and your court as you cruise through downtown on your way to your reception hall! Everybody would be watching! 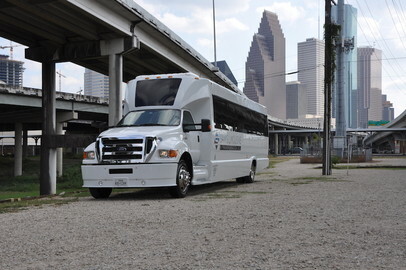 Check out some of the coolest quinceanera limos and party buses in Houston TX below to find the perfect limousine for your sweet 15! Be sure to ask for the discounts!!! All our partners offer discounts for ANY occasion if you mention MY HOUSTON QUINCEANERA website!